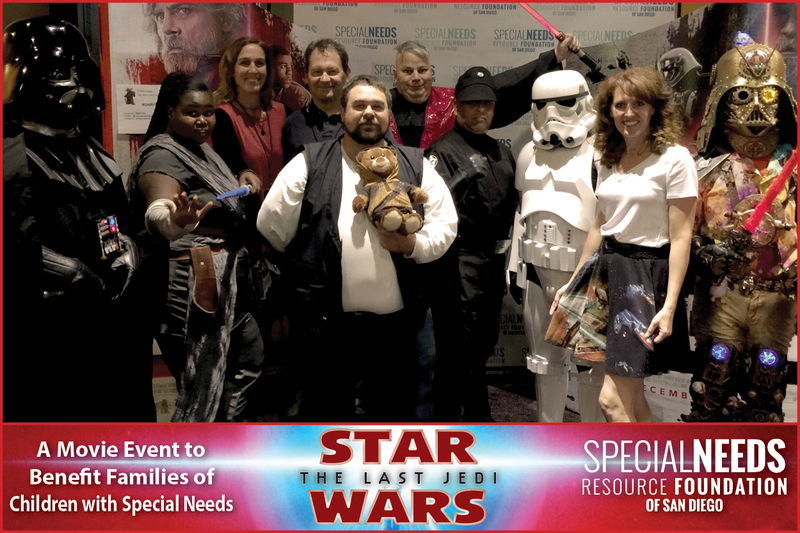 Thank you for joining the Special Needs Resource Foundation of San Diego for OPENING NIGHT of Star Wars The Last Jedi! We had a great time taking photos with Star Wars characters, making Star Wars themed crafts, winning prizes, eating movie snacks and of course watching the much-anticipated sequel, Star Wars: The Last Jedi. Proceeds from this event benefited the Special Needs Resource Foundation of San Diego.